Automation Inside Readers’ Choice Awards 2017 - Winners have been announced! The fourth Automation Inside Readers’ Choice Awards have reached the final stage and the winners have been announced. This edition was also a success with hundreds of validated votes received from 55 countries. Minebea Intec is part of the Sensing Device Business Unit of the MinebeaMitsumi Group, a world-leading manufacturer of precision bearings and components, and supplier of high-quality precision and measurement technologies. Minebea Intec is among the market leaders for industrial measurement technology for high-precision measurements and production inspection. The company offers a wide range of products, solutions and services for its customers’ manufacturing processes - from incoming to outgoing goods. This includes platform weighers, vessel and silo scales, checkweighers and systems for foreign body detection, as well as software solutions for statistical process controls and formulation applications. The National Institute of Metrology of Colombia coordinates the scientific and industrial metrology in the national territory and execute activities that allow innovation and support the economic, scientific and technological development of the country. PT Ltd is an ISO 9001 accredited manufacture and has been designing and engineering measurement solutions for the weighing industry from Auckland, New Zealand since 1979. Formerly known as Precision Transducers and exporting to 160 countries around the world, we are your one stop shop for all weighing needs. We offer an extensive range and variety of load cells, measuring from medical grade of 1 gram, right through to industrial grade of 450 tonne; something to suit virtually every imaginable weighing requirement. In addition to our well known load cells (shear beam, single point, S-Type, compression and tension load cells), we manufacture and supply a vast selection of devices including custom made load measurement pins, load cell mount kits, related accessories and digital instrumentation (digital indicators and transmitters as well as load cell amplifiers). We’ve got you covered with every thing you need for a complete weigh system, from read only screens to full systems connected via today's common factory automation protocols to PLC and internet based automated systems. If you’re looking for high quality weighing equipment direct from a world class manufacturer, look no further. Test us on quality, delivery and price. We Manufacture in accordance to OIML standards, and have formal approvals from OIML, NTEP, China, AUS/NZ, CE Marking. All load cells are backed by our famous 3 year warranty to give you the confidence to know your weigh system is going to last and perform when you need it most. Minebea Intec (Germany) - An intelligent operating concept, the graphic TFT display and the clearly arranged keypad ensure operation with minimum operator error and support you in your daily work. Many helpful service functions enable traceability within the processes, but also provide security against incorrect configurations. The new housing concept allows you to meet all requirements for mounting and installation, whether table, wall or panel mounting. The stainless steel housing with a high degree of protection and ATEX-and FM compliant approvals for use in hazardous locations permit the use of even the most difficult environmental conditions. Many pre-defined applications facilitate integration into industrial processes such as formulation, dosing, filling, continuous discharge or vehicle weighing. The Maxxis 5 Process Controller can be easily and conveniently adapted to a wide range of requirements by means of a manufacturer-independent programming concept. Programmers can use the IEC61131-compliant programming language, which is standardized worldwide, with extensive library functions and special weighing variables. Maxxis 5 offers the widest range of interfaces ever available for a scale. A large number of interfaces are even supplied with the standard equipment. The connection to all common fieldbus systems like Profibus DP, Profinet, Ethernet/IP, Modbus TCP and DeviceNet ensures easy integration into different process control systems. In addition, the connection with PC systems is particularly easy due to an Ethernet TCP/IP interface. Minebea Intec (Germany) - No compromises where corrosion protection is concerned. 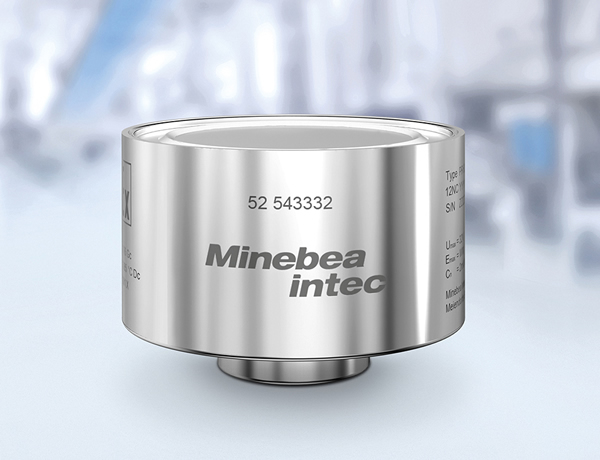 The new load cell PR 6212 from Minebea Intec offers a long lifetime and ensures with its maximum corrosion resistance and precision safer and more reliable processes for the weighing of tanks and vessels in the chemical industry. This load cell is the only weighing technology product with a measuring element made from stainless steel 1.4418 which has proven extremely corrosion-resistant. The load cell is also available as high-temperature version or with additional protective coating for extreme environments. In addition to OIML, the PR 6212 load cell of Minebea Intec is also NTEP certified and available with various Ex-certifications. Utilcell (Spain) - The SWIFT is a Weighing Indicator and High-speed Transmitter, especially indicated for Process Weighing & Machinery, in both static and dynamic applications. Due to its design as well as the various possibilities of data transmission, smart weighing functions, digital inputs and outputs, it is ideal for connection to PLC, PC and remote systems making easy the integration in automated systems. Power up to 8 load cells (350 Ω) or up to 16 load cells (700 Ω). 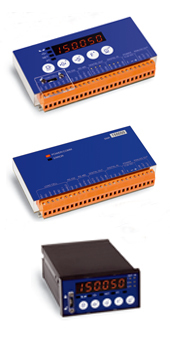 DIN Rail and Panel mounting versions. Instituto Nacional de Metrología (Colombia) - The data acquisition of balances XP 64001, XP205, XP 26PC and KL 60001 comparator of 5 tons used for calibration of metallic volumetric instruments from 10 L to 2000 L and instruments for the measurement of small volumes in the range of 1μL to 10000 mL under the gravimetric method and whose traceability transfer equipment is the balances. This software was developed through an application in LabView, this aplication allows the volume laboratory to export the results of the weighings to the Excel spreadsheets, to reduce the errors caused by the operator at the time of digitizing the data, in addition to be able to take advantage of the tools that this type of balances, offers to minimize times and errors during the calibration process. 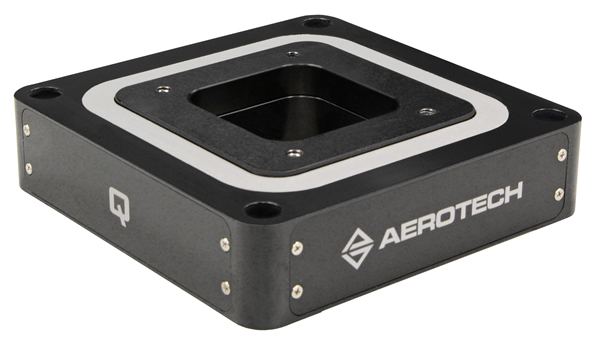 Aerotech, Inc. (USA) - Aerotech’s QNP3 series XYZ piezo positioning stages combine sub-nanometer resolution, high dynamics, and excellent geometric performance in a compact three-degree-of-freedom (DoF) package. They come with a 40 mm x 40 mm clear aperture with closed-loop travels up to 100 µm x 100 µm x 10 µm (open-loop travels to 120 µm x 120 µm x 12 µm). 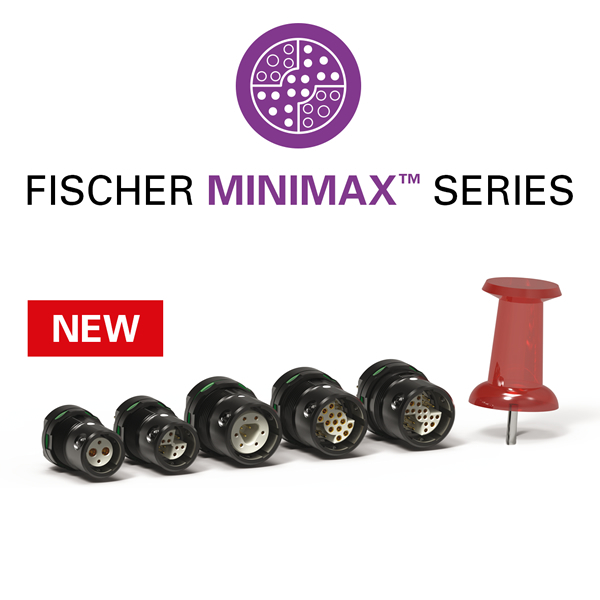 The design is ideal for optical and scanning probe microscopy or other inspection or manufacturing applications where two-sided part access is required with three-DoF manipulation. 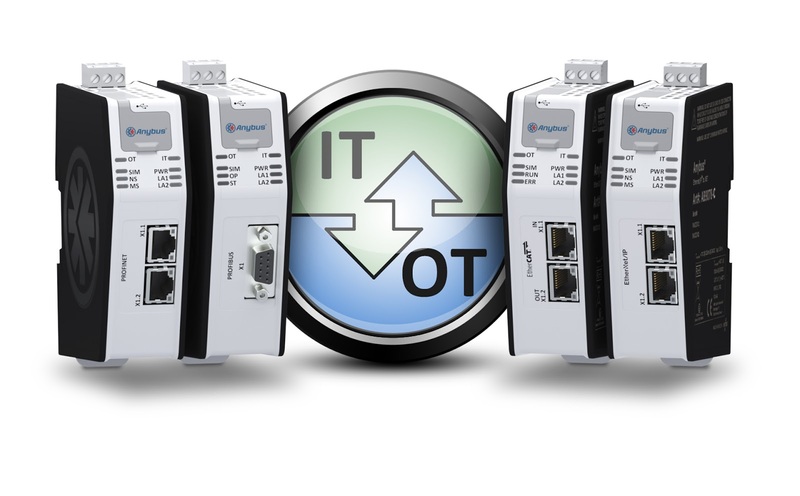 HMS Industrial Networks now introduces a new range of Anybus .NET Bridges for PROFIBUS, PROFINET, EtherCAT and EtherNet/IP. Bridging the gap between Operational Technology (OT) and IT, the .NET bridge family enables data from industrial machinery to be presented to .NET-based IT applications. The result is that .NET programmers can build a PC program which exchanges live data with a PLC system — for statistics, analysis or maintenance. The basic prerequisite for Industrial IoT is that IT systems get access to data from industrial applications. However, the fieldbus and industrial Ethernet networks of the factory floor are designed for real-time communication – by default separated from the IT-infrastructure. The Anybus .NET Bridges address this situation by acting as translators between OT and IT — sending and receiving data between the factory networks and IT platforms using .NET as a framework. The communication is set up in a couple of minutes and the .NET Bridges are therefore a very fast way to realize IIoT. Thanks to the data bridging capabilities of the Anybus .NET Bridges, IT systems get unprecedented access to real-time data from the factory floor which enables predictive maintenance, KPI-follow-up, machine analytics, data mining, big data processing, production statistics and much more – without interfering with the industrial processes. The .NET Bridges are truly "edge gateways" in the sense that they establish a bridge between IT and OT. IT programmers get access to data from industrial machinery, while PLC programmers can rest assured that the data access does not interfere with their critical industrial applications and systems. The Product will be released in November 2017. 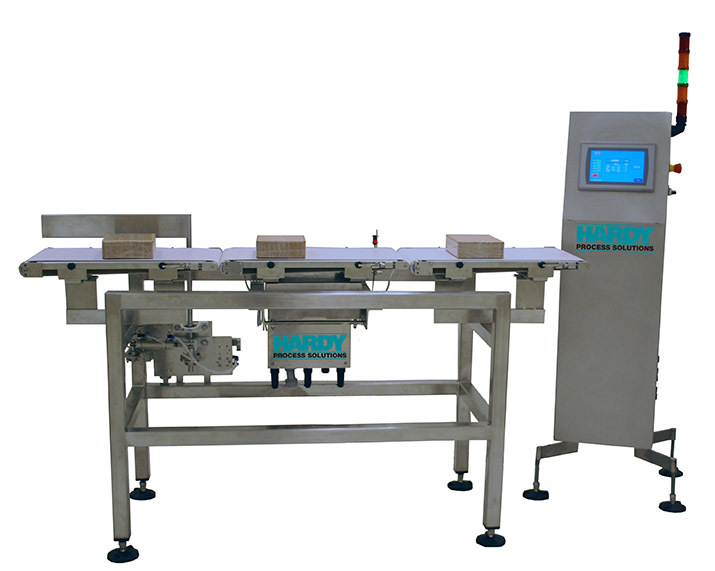 Hardy Process Solutions (USA) - Hardy's Dynamic Series of checkweighing machinery is built using off-the shelf components, with controls based on a Rockwell Automation's CompactLogix platform, providing a standardized open source architecture that is flexible enough to meet both current and future control needs. OPEN ARCHITECTURE: Hardy Dynamic checkweighers are built using a Rockwell CompactLogix® platform running Studio5000® making them the easiest to integrate, upgrade and modify. The GUI uses FactoryTak View software, giving the user the ability to share and modify information presented on the machine’s HMI to the larger Connected Enterprise®. Extra onboard I/O and the ability to expand the rack provide a future proof control platform that is ready to accommodate additional upstream and downstream closed-loop controls, as well as peripherals such as metal detection and x-rays. All data tags are available to Enterprise wide software. MOTORIZED DRIVE ROLLERS: Gearing and motor are integrated into the roller. Extremely efficient with no exposed moving parts, motorized drive rollers are available in a variety of speed and torque ratings so they can be tailored to the specific requirements of your application. Available in stainless steel the series is rated for IP66 wash-down environments. Smart drives eliminate the possibility of over-torque or binding that could cause motor or belt damage, creating a safer and higher reliability conveying system. QUICK CHANGES: Belts can be removed, inspected, replaced and cleaned without the use of tools. A simple cam-lock secures belts in position and at the correct tension – making change-overs fast and easy. SOLID CONSTRUCTION: The Dynamic C, S and I series are built using welded Stainless Steel tube construction, created a very ridged and long lasting frame that will withstand even the most abusive environments. Built to handle virtually every product in any environment, only simple modifications are required to change bed widths and lengths. The Dynamic L series is designed for very heavy packages and therefore is constructed of steel channel. EASE OF SETUP & CALIBRATION: Intuitive menus presented on a large Allen Bradly PanelView Plus® HMI provide a comfortable environment for setting up product recipes, tuning the machine for optimum performance and setting up the scale system. Use Hardy's exclusive C2® for automatic scale calibration. Use the Internal Trigger mode and eliminate the need for a photo-eye. FULL STATISTICS & DIAGNOSTICS PACKAGES: The Diagnostics Section allows users to visualize the process and make adjustments. This saves so much time over the guesswork that is required with other checkweigher machinery. Minebea Intec (Germany) - Version 3.0 of Minebea Intec’s powerful SPC@Enterprise offers customers a complete statistical process control solution that is both comprehensive and user-friendly. The software captures data from various devices and systems along the production line. Professional evaluation of this data, alongside classic filling quantity control, facilitates dynamic and HACCP-compliant process control. The result: consistent product quality and optimum productivity. High-performance cameras to ensure a rugged, sealed interface and reliable data transmission from the camera to the recoding unit. 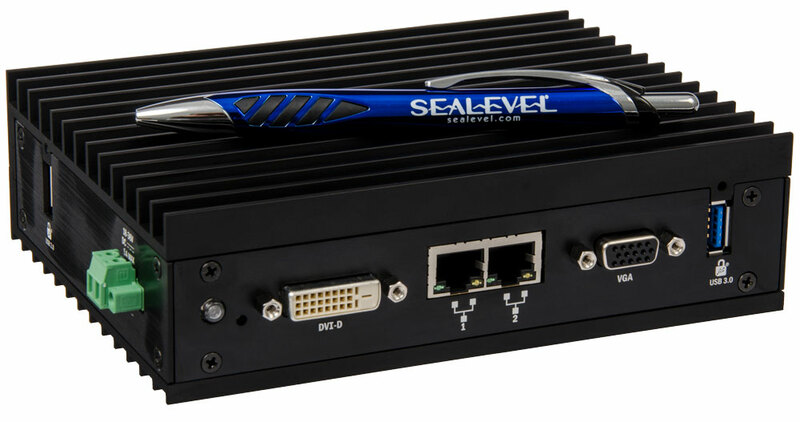 Sealevel Systems, Inc. (USA) - The newest member of the Relio™ family of embedded I/O servers, the Relio R1, is redefining “extended.” With an impressive operating temperature range of -40° to +71°C, the rugged, DIN Rail compatible industrial computer is designed to exceed military standards for shock and vibration. This solid-state, zero-maintenance system is ideal for military, heavy equipment, automation and other applications that demand powerful processing and a compact footprint.